On October 26-27-28th, 2018 Timberland Tours will host the 9th annual Bristol Dryland World Cup Dog Race. Hundreds of racers and dogs from all over the globe, flock to the small town of Bristol, Quebec to compete in this world class event. As the name suggests, the race is run on a sandy trail that winds through a beautiful pine forest. Racers and their dogs can compete in several events: scooter, canicross, bikejoring and 4, 6, and 8 dog rigs. Spectators can observe the race from several look out points including the start and finish bleachers, a high rise stand, and also along an access path that cuts through the forest and crosses the race track. Last year the race won 9 ISDRA (International Sled Dog Racing Association) awards for event of the year in bikejoring , 2-dog scooter and 6-dog rig class. 2013 World Champions, Jessica Doherty from NY and Kati Dagenais from QC, are regular competitors. With the largest purse of over $10,000 it is one of the biggest dryland races in the world. In fact the Bristol Dryland race was ranked 3rd worldwide in 2010 by all registered racers . Come and meet some of the fastest teams on the planet!!! Admission and Parking is free. No pets please. Vendors will be on site with warm food and beverages as well as some merchandise. Just 45 min. from Ottawa. Registrations received after this date will qualify for the bib draw which will be held on Friday, October 27th, 2017 at the Race Site 7:00pm-9:30pm. Starting positions will be drawn from a hat and will follow the teams that have been seeded. It is up to you to make sure the Bristol Dryland Race Committee receives your registration, either in person or by mail, with the appropriate fees before October 15th, 2018 if you'd like to be considered for seeding!!! Seeding will be done by the Bristol Dryland Race Committee who will take into consideration the previous years race times. If you have any questions or concerns please call Denis Rozon at 819-647-3185. Thank you! Registration will be on Friday, October 26th, 2018 from 6:00 p.m. to 9:30 p.m at the race site. 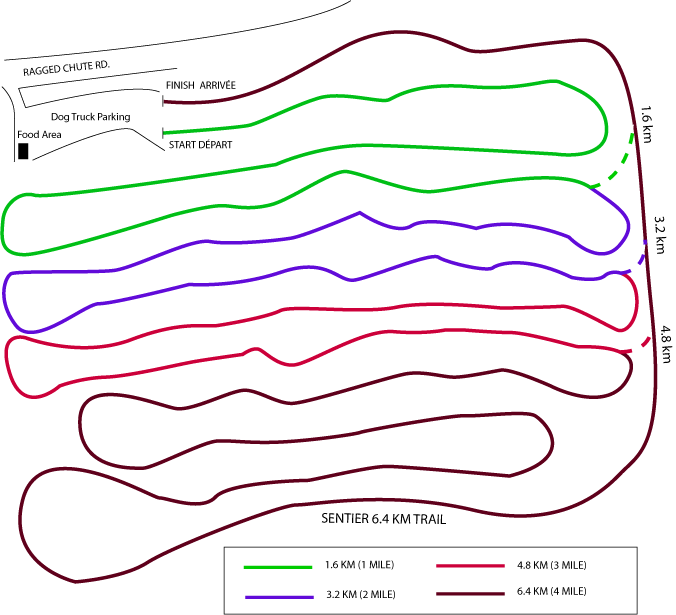 The bikejoring, scooter and cart categories will offer seeded starts for all participants which have already raced at Bristol Dryland. Only the registrations and payments received before October 17th will be seeded. All later entrances will be drawn and start after seeded teams on the first day of racing. All payments must be received prior to the bib draw on Friday October 26th at 9:30 p.m. Bristol Dryland Championship is IFSS sanctioned. To collect IFSS World cup Points you must obtain a DID (Drivers identification number) through CAHDS at DID Request.